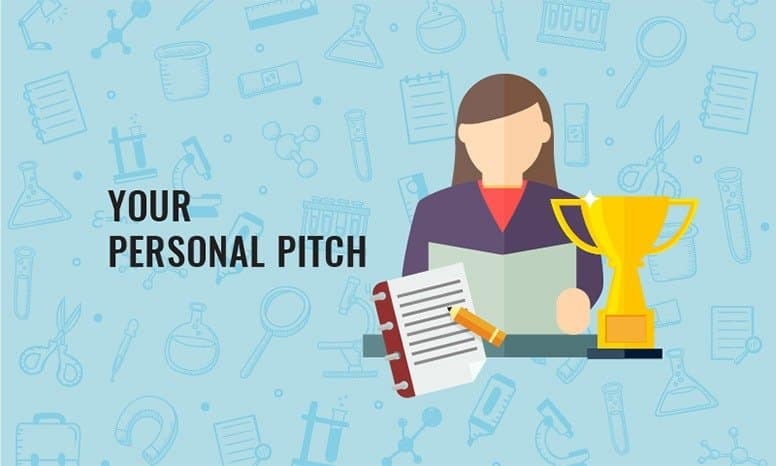 A personal pitch is your way of giving someone a concise overview of your experience and skills as a candidate. You should aim for it be about a minute in length and focus on the 3-5 key messages that you’d want someone to remember about you. You might use this in interviews and in networking. Your personal pitch… an ‘elevator pitch’. With your job hunt as an example, the idea of an elevator pitch is that you find yourself in an elevator with a hiring manager of a company you’d love to work for and you have the length of the elevator ride to convince them to give you an interview. So, you have 30-60 seconds to give a clear, concise and impactful overview of yourself. No pressure! Why a Personal Pitch is a MUST if You’re Changing Industry? Every job hunter should have a personal pitch but if you’re looking to change industry – you need a great one. This is more than just a theoretical exercise. There are plenty of times you’ll find this ‘elevator pitch’ come in handy. And yes, maybe even a chance encounter with a hiring manager of your dream company! How do you Write an Excellent Reskilling Personal Pitch? How to write an excellent personal pitch. In total, you’re aiming for a paragraph that takes 30-60 seconds to say out loud. Tell them about your goals in reskilling – what is motivating you to do it and what do you want to achieve. Once your personal pitch is complete – record yourself saying it out loud. I know that sounds like a terrible idea (and everyone hates hearing their own voice!) but the more often you say it, the easier it will come, the more natural it will sound and the more confident you’ll be in delivering it – I promise! Also be sure to revisit it regularly. As your skills and knowledge increase, make sure that your personal pitch is always representing the very best of your current offering.